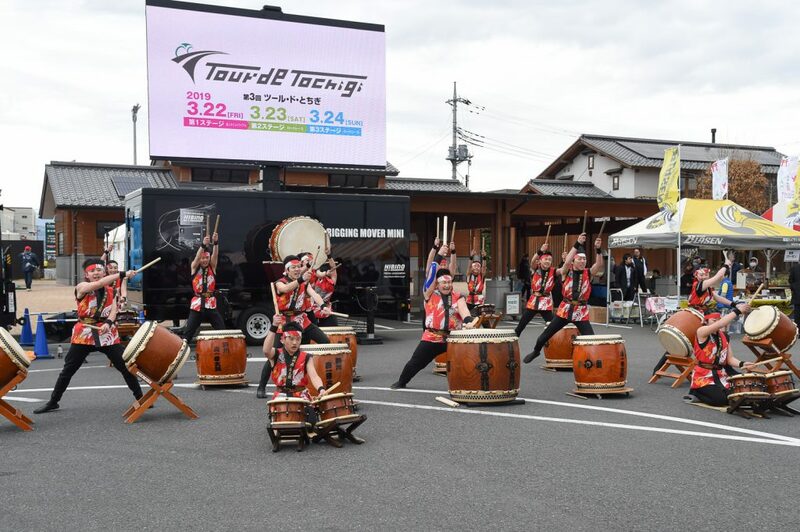 Yaita city, Tochigi welcomed the Stage 2 of Tour de Tochigi and the circuit was made around “Michinoeki Yaita”, literally means road station, with 118.4km (3.8km-neutral included). The one lap of circuit is 14.8km, making 8 laps, which the first half of the course has series of up and down with curves and the last half was narrow and long straight way. Intermediate Spring Point and King of Mountain were set at 2nd, 4th and 6th laps. It was unbelievably much colder than yesterday with cloudy sky. Breeze from the Nasu Mountain Range made the temperature less than 10℃. Right after the parade-run, many attacks were seen, but soon the breakaways were caught by peloton. After the second laps in which the first Intermediate Sprint Point and King of Mountain (KOM) Point were set, the speed of the peloton was increased, but didn’t make any successful breakaway. 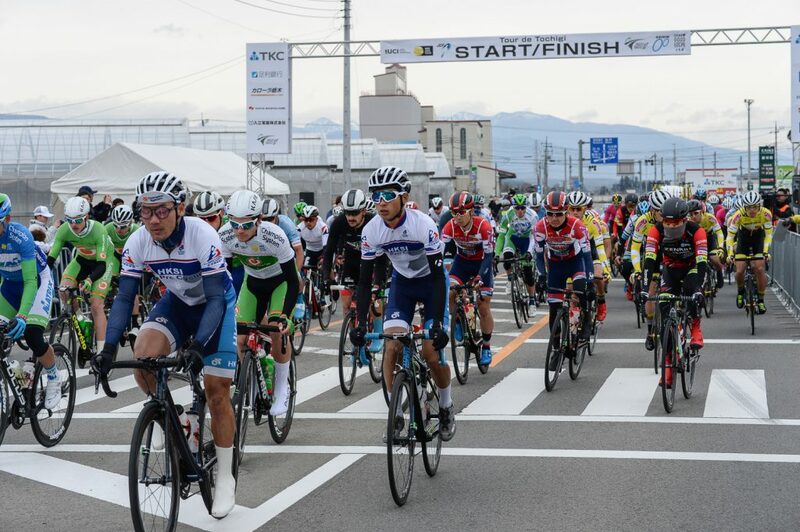 At the 4th lap, GONG Hyosuk (LX CYCLING TEAM) made an attack for the second KOM and Atsushi OKA (UTSUNOMIYA BLITZEN) followed by him. 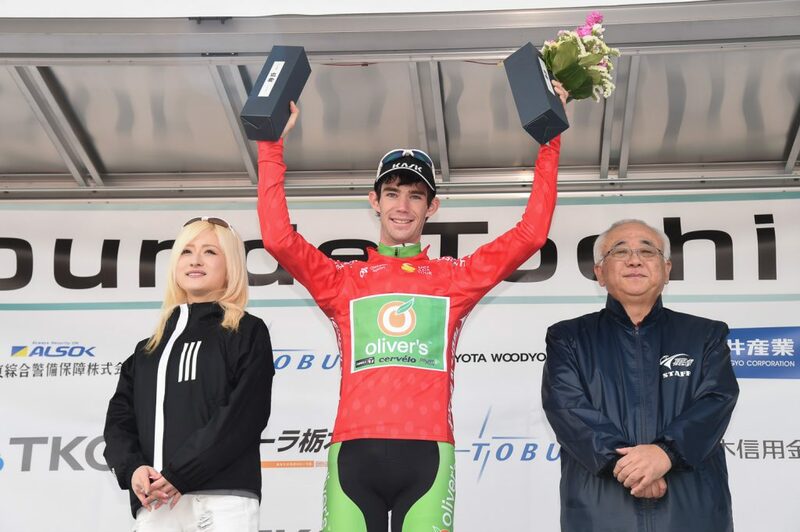 This attack sparked a break of 13 riders, such as Green Jersey Wearer, Benjamin DYBALL (TEAM SAPURA CYCLING) and Blue Jersey Wearer today, Orluis Alberto AULAR SANABRIA (MATRIX POWERTAG) and Yuki ISHIHARA from Tochigi (INTERPRO CYCLING ACADEMY), making the maximum time gap of 2’50” to the peloton. In the 7th lap, 2 laps to go, TEAM UKYO controlled a front group and increased speed to make the time gap to breakaway less than 1 minute. Finally, just before the 8th lap, peloton caught all breakaways. In the mass group, SALCANO SAKARYA BB TEAM came to the front and controlled the peloton. 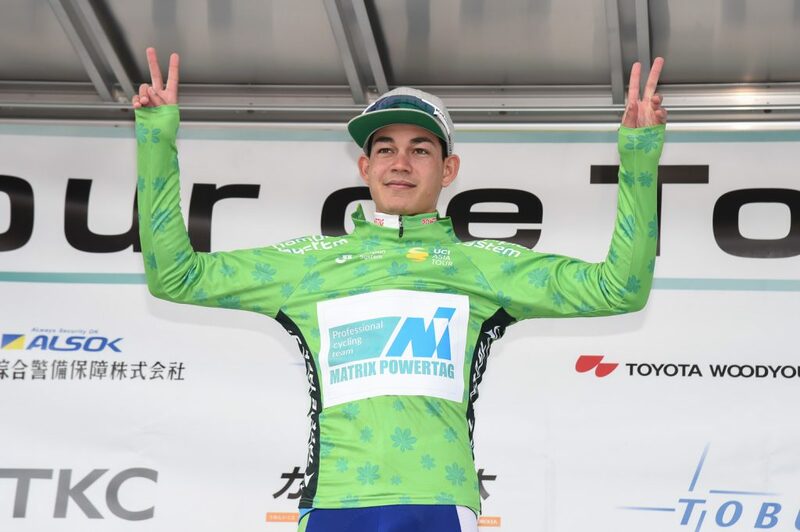 MATRIX POWERTAG, INTERPRO CYCLING ACADEMY, SHIMANO RACING TEAM, UTSUNOMIYA BLITZEN and NASU BLASEN were in the front group. 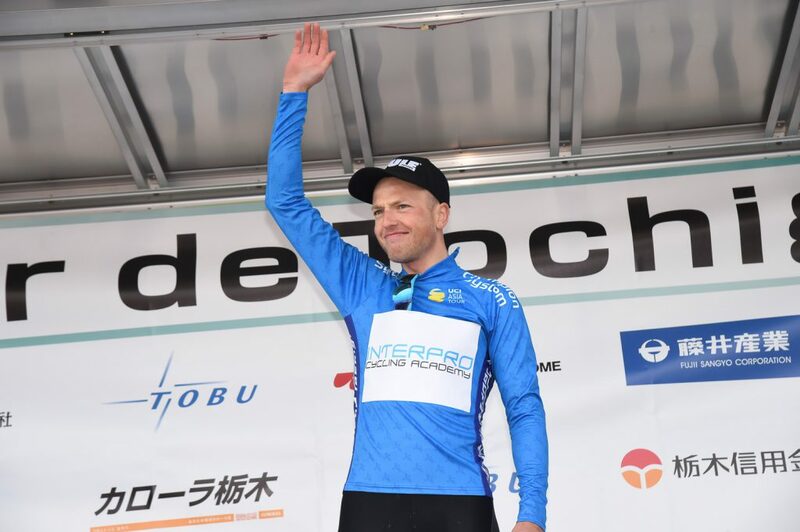 In the end, Maris BOGDANOVICS (INTERPRO CYCLING ACADEMY) claimed victory in bunch sprint and Shiki KUROEDA (TEAM BRIDGESTONE CYCLING) finished close 3rd place. Orluis Alberto AULAR SANABRIA (MATRIX POWERTAG) gained the bonus time of Intermediate Sprint, 2 seconds and grabbed GC, Green Jersey Wearer. BOGDANOVICS placed 2nd and DYBALL dropped to 3rd place in the Stage 2. 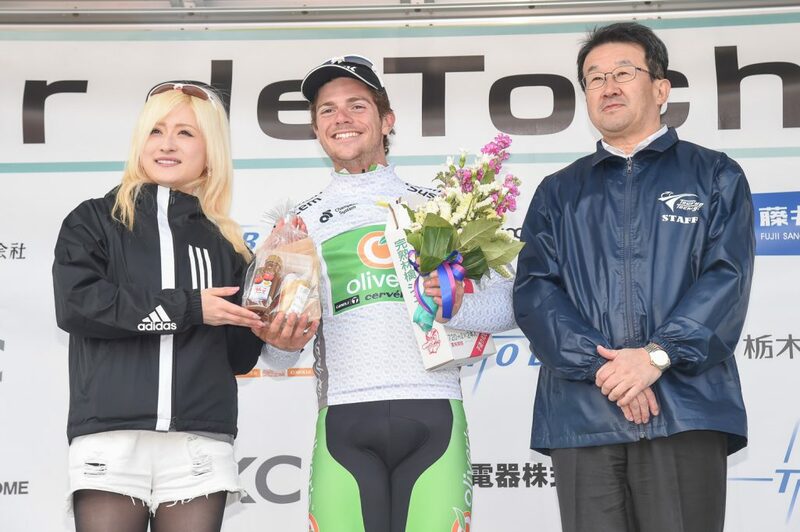 The best Japanese rider was Atsushi OKA (UTSUNOMIYA BLITZEN), 10th place with 8 seconds behind. 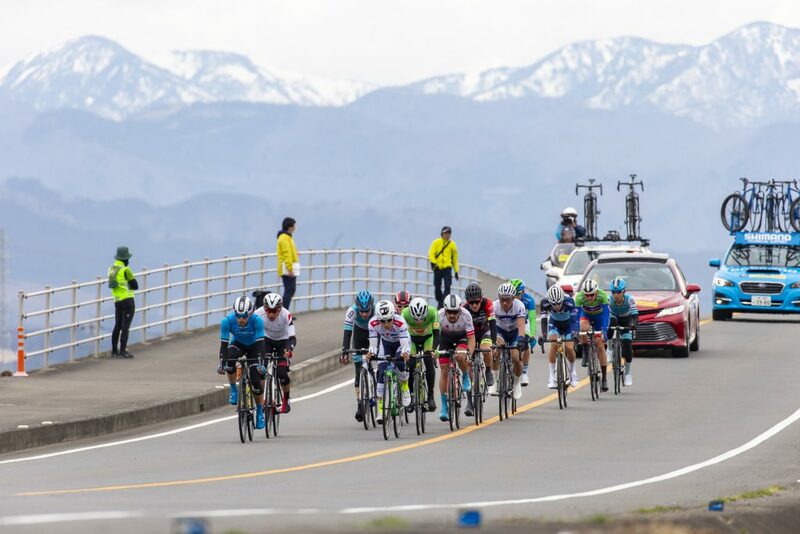 The final stage, Stage 3 will be point to point race, from Nasukarasuyama city to Ashikaga city with 150km. 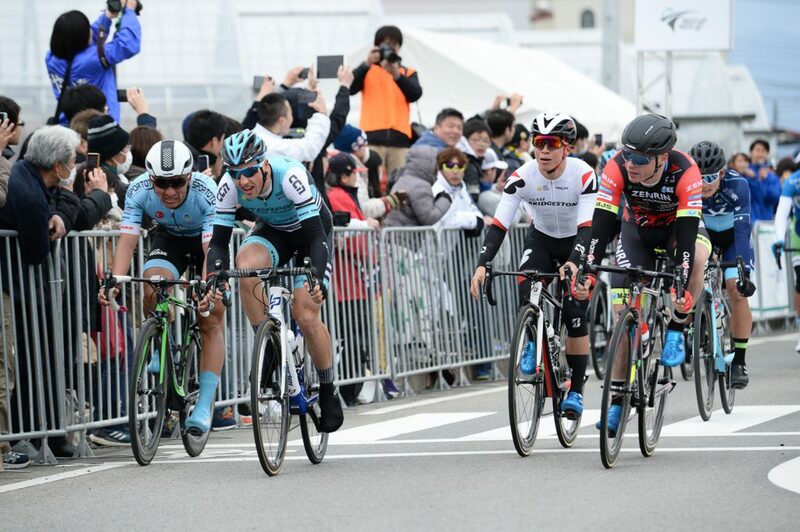 “Only one my teammate was in the breakaway of 13 riders which was not successful strategy, but thanks to TEAM UKYO, the peloton absorbed the break and my team decided to finish to win the race by my sprint. 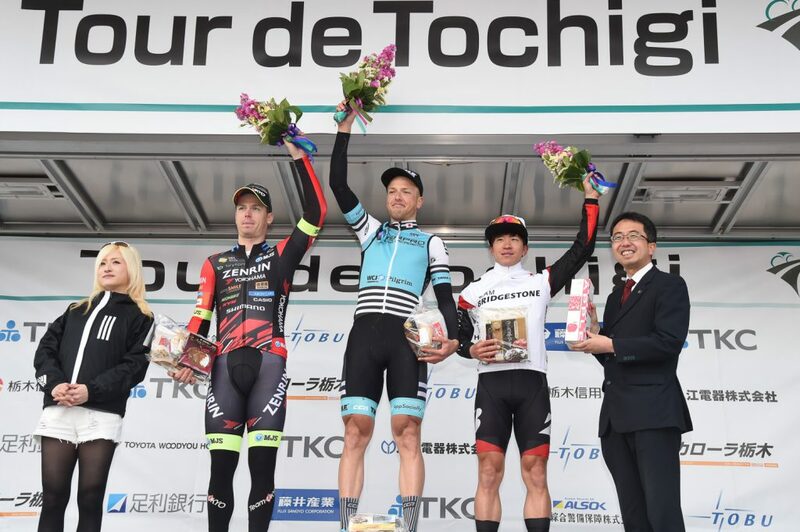 I had to go against headwind in the last, but am happy to manage to be in the 3rd place today.